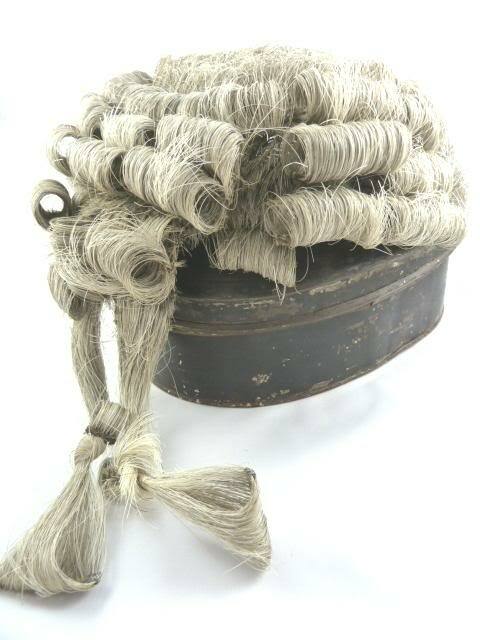 An English barrister’s wig in original tole box with the name of John Forbes, Esq. hand painted in gold. 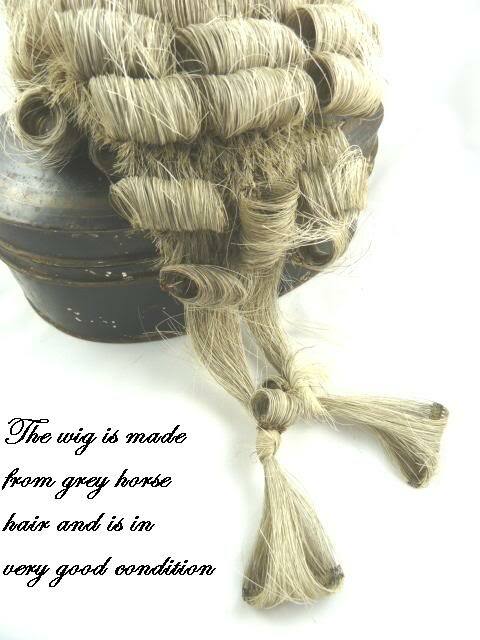 Hand made of woven horse hair the wig is in very good condition. 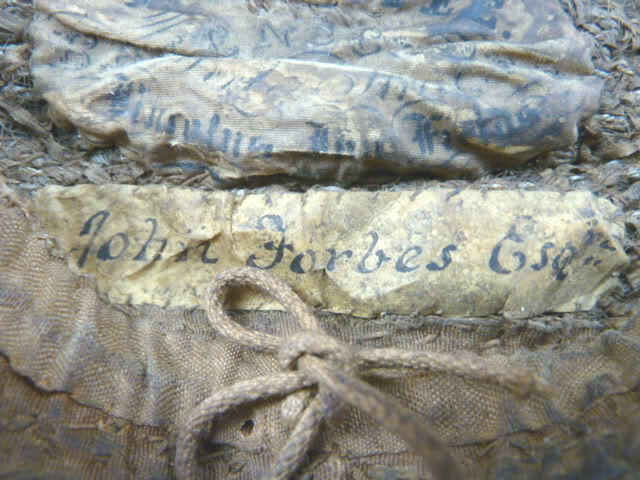 The underside of the wig bears two labels, one marked for what I read as “Patentee Ravenscroft Lincolns Inn” and the other with the name John Forbes, Esq. 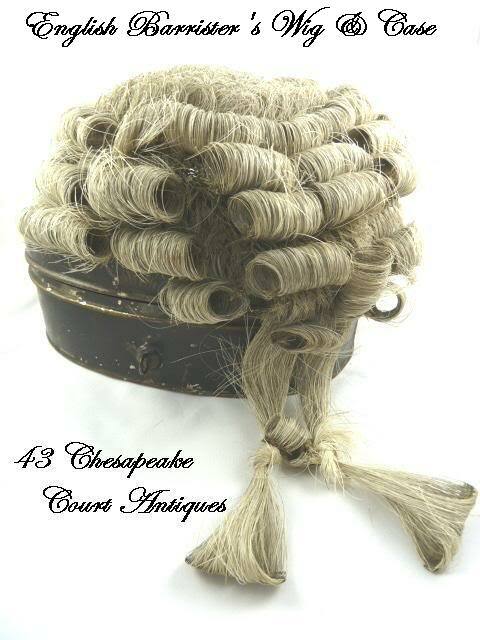 My research did find a marriage record in London in the year 1851 for a John Forbes, Esq, the only son of Sir James Clark, Attache to H M Embassy, Paris. 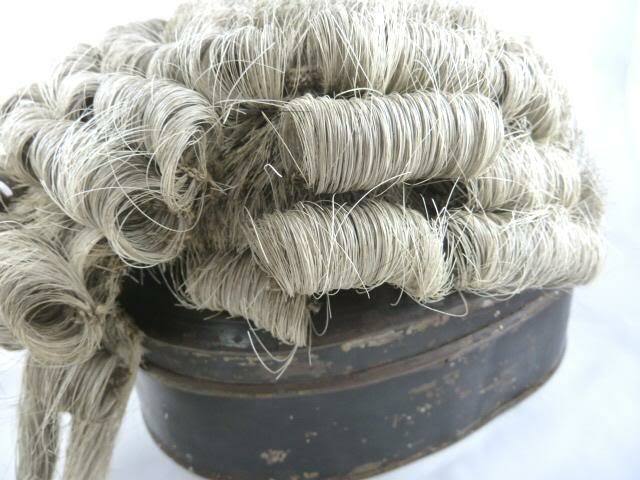 He married a Miss Charlotte Coltman. 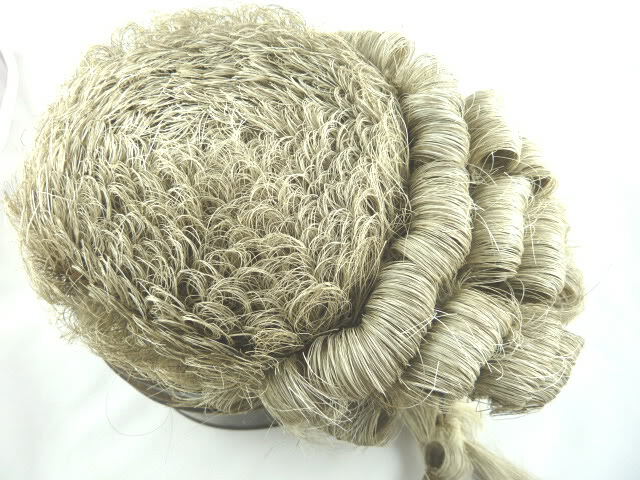 Condition report; the wig is in very good condition; all curls appear to be present, small separation in leather trim on each side of front where it meets the sides. 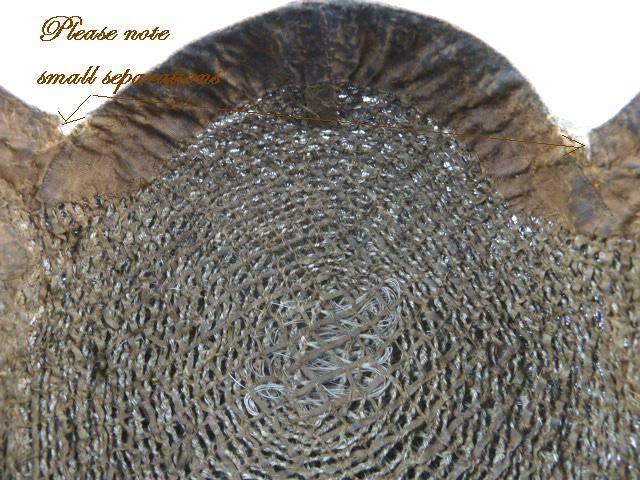 These are in the leather are only visible from under the wig. The tole box has numerous scratches in the paint and the latch or clasp is missing.